The house of the Father of the Nation of Bangladesh is now Bangabandhu Memorial Museum. Sheikh Mujibur Rahman is recognized as the Liberator of Bangladesh. Once he lived in this house. The museum is run by Bangabandhu Trust. In Bangla, it is called Bangabandhu Smriti Jadughar. In 1st October, 1961, Bangabandhu came to this house and started living with his family. Then 26th March, 1971, Bangabandhu declared independence of Bangladesh and was arrested by Pakistani Army at this house. In 1972, Bangabandhu lived in this house in place of President’s Government House although he was the President of Bangladesh. In 15th August, 1975, Bangabandhu was killed in this house along with his family and relatives by the local Pakistani agent in disguise. In 1981, the house was handed over to the daughter Sheikh Hasina of Bangabandhu Sheikh Mujibur Rahman. . This building turned in to a museum in year 1997. It contains rare collection of personal effects and photographs of his lifetime. This three- stored building as known as Bangabandhu Bhaban. The first room of the museum features many photos of Bangabandhu—alongside his conversations and interactions with heads of state and government representatives from across the globe. The adjacent room was the reading room of Sheikh Mujibur Rahman. During the liberation war of 1971, he drafted and released the declaration of Independence from this room.This room was previously used as a drawing room by Bangabandhu, where he held meetings with different political personalities visiting from both home and abroad. 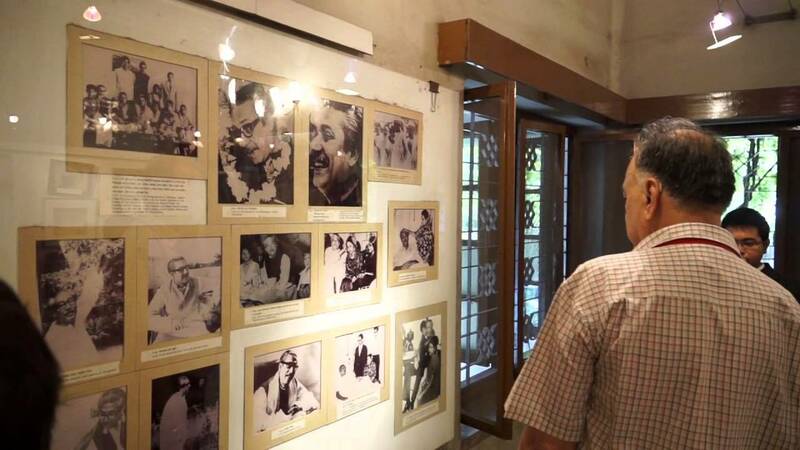 The bedrooms of the father of the nation, and his daughter Rehana showcase images and memorabilia related to Bangabandhu and his family members. The visitors will get big ideas on lifecycle of Bangabandhu Sheikh Mujibur Rahman in the Exhibition Hall of extension building. The museum is situated at road no. 32 Dhanmondi R/A. Visitors can use any public or private transportation methods to reach the Bangabandhu Memorial Museum. It open to visitors from 10am to 6pm for the remaining 6 days of the week. The tickets cost Tk5, and children under 3 years enter free.